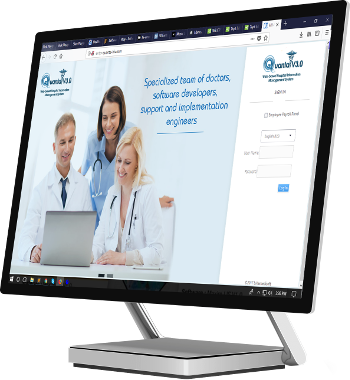 Birlamedisoft Quanta WebHIMS V 3.0 , Web based Hospital Information Management System is an ERP suite of software modules to computerize any large scale hospital (100 Beds & above) and connected clinics and its branches. automate clinical activities like booking a patient, history taking, ocular examination, systemic examination. Keep your entire accounts along with payment status for each patient, like Cash-Book, Bank Accounts, Ledger and Trial Balance . Set security for any number of users with passwords & proper authorization. Quanta WebHIMS V 3.0 include Modular Structure, Integrated Design, Multi Level Security, Easily Customizable, GUI Based and User Friendly. 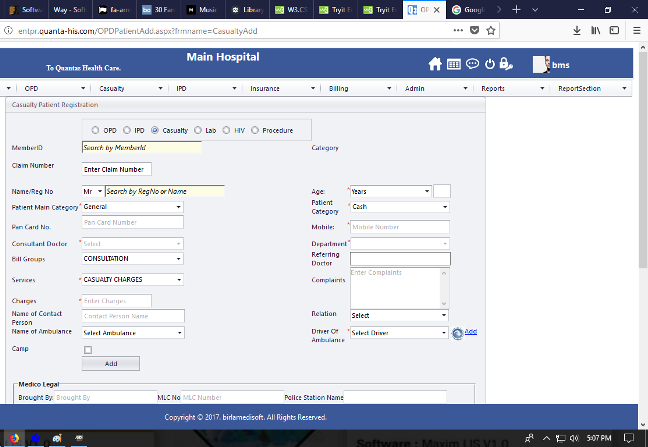 The software has masters for beds in different rooms & once you admit a patient, you are prompted to different categories of beds vacant & you can allot accordingly. It is fully online web based software. The information is available anytime, anywhere.